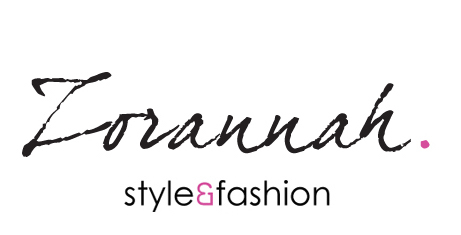 Zorannah's Fashion Corner: Naughty Monkey shoes giveaway! “Hey everyone, I have a super exciting announcement to make! Remember those fabulous Naughty Monkey shoes I posted about recently? Well, one lucky reader will win their very own pair of Naughty Monkey heels! Because I do not know the winner’s shoe size yet, once the winner is selected, I will send you options of shoes you may choose from! 1. Like Naughty Monkey on Facebook & Twitter. 3. Once you have your highest # of friends in common, submit your final # to me on this post. 4. Winner will be emailed and a screenshot of your final # will be needed. Once screen shot is provided, you will be contacted with your choices! That’s it! So, lets spread the word on this fabulous American based footwear company and get you some free shoes! Good luck! Giweaway ends on Sunday at midnight! 2. Da preporucite Naughty Monkey page svim svojim prijarteljima. 4. Pobednici ce biti poslat email i screen shot zajendickog broja ce biti potreban. Giveaway se zatvara u nedelju u ponoc! Joooj što su lijene gospođice, one bi sve besplatno i bez truda, kakav vam je užitak u tome...morate još mnogo toga naučiti o životu. Sram vas bilo!!! Što je nešto teže, više se isplati. Nije ni čudno što trpate svakakve kombinacije na blog, najlakše je natrpati na sebe razno razne krpe i misliti da je to moda. Svašta!! Sta je gospodjici anonymous, malo se pogubila! I'm blown away! You're so gorgeous! Odradjeno sve. Zajednickih prijatelja imam 21. Minut pre ponoci iii imam 64 zajednicka prijatelja. Your blog says it's the 3rd? But where I live it's still the 2nd at 7:30pm. Can I still put my #'s in before midnight? It's 9:08pm on October 2nd for me! I live in Wyoming, USA! I have 94 friends in common who likes Naughty Monkey.. i hope i win..